Learn how to make an angel ornament out of wire. 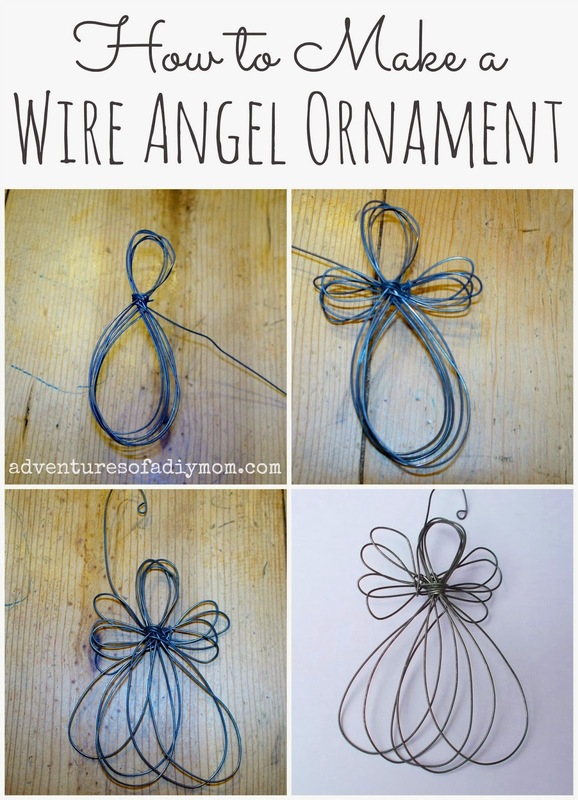 This easy diy Christmas ornament is a perfect addition to your Christmas tree. 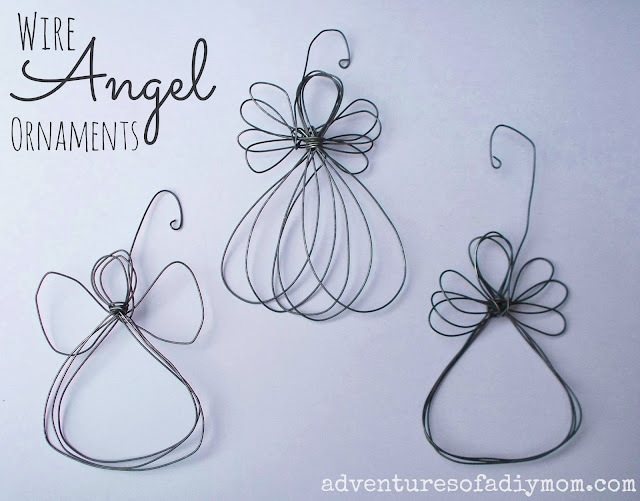 All you need is some wire to create these angel nativity ornaments. This year I decided to make a nativity tree with a small Christmas tree. I wanted all of the ornaments to have something to do with the first Christmas. The last 12 days before Christmas, I want to have the kids hang one ornament a day and we'll talk about what it is and why it's important. It took a lot of time coming up with ideas, searching the net and Pinterest, and even more time making the ornaments, but I've almost got them all done. 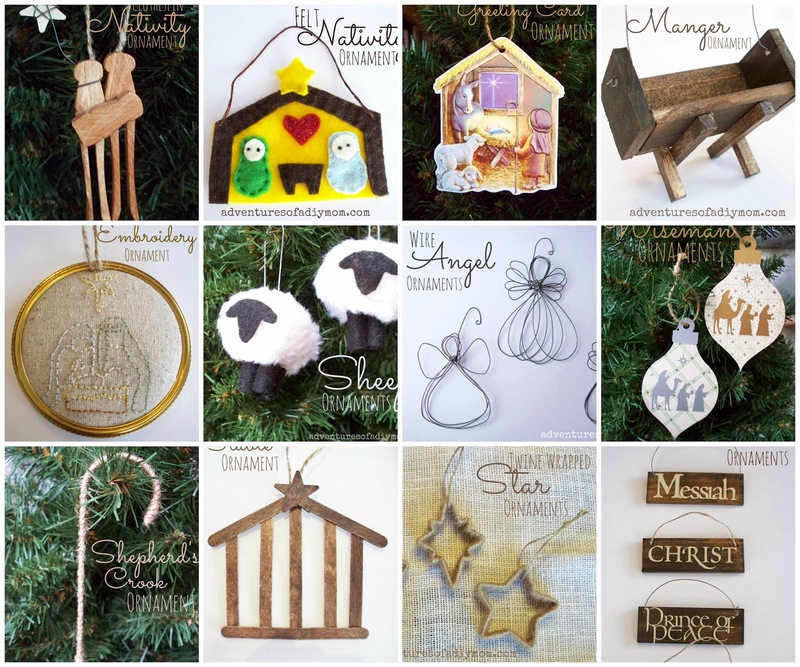 As I write this, I still have a few ornaments to finish up, but I'm hoping to get them done this week. Once they're all done, I'll get a picture of them all together on the tree. So for the next couple weeks, I'll be sharing a different ornament each day, with a scripture or quote to go along with it. Today I'm going to show you how I made some cute little angels with just some wire. I got this idea off of Pinterest. Unfortunately, the links didn't go anywhere. So I had to figure out how to make them myself. I don't claim to be an expert on working with wire, but they ended up pretty easy. You will need 20 gauge wire. 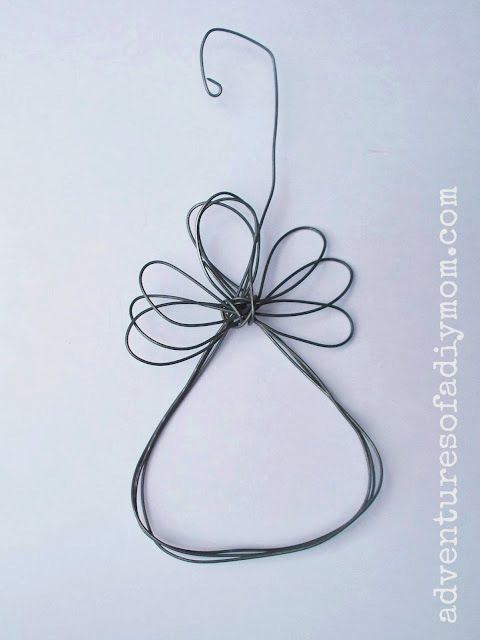 * Begin by making a figure 8 with your wire. Make sure your top part of the 8 is about 1/3 of the total size - it will be your head. Continue with this pattern until you have 5 layers of wire. Then wrap the wire a few times around the middle of your 8. * Now we're going to make the wings. Make another figure 8 going horizontally. These will be your wings. 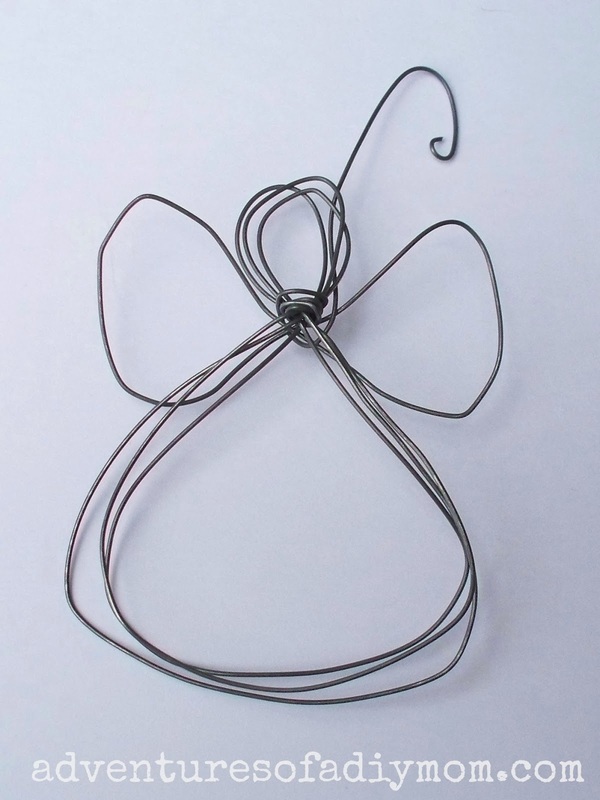 Do this 3-4 times and wrap your wire as best you can around the wings. * Leave an excess of a couple inches and cut your wire. Then curve the top to make a hanger, ending it off with a small loop. Then spread out the wire to make it look nice. Here are a couple other styles I did. I made this one the same way as I did the first one, but the bottom part of the figure 8 I made a triangle shape. I also only wrapped it three times. And this one I made the wings differently. Oh my goodness these are so cute! Very cute and so simple to make. Thanks so much for sharing this. I think I am going to have to make some of these. They would make great gift toppers as well. love this project. I'm a new follower stopping by from The Tuesday talent Show at Chef in training link party. These are just adorably sweet! I found the wire out in the garage in the tool box. I have no idea where it came from :) If you're going to Michaels I would head to the jewelry section. They should have wire in different sizes. I'm not sure what size mine was, but it was a nice sturdy size - probably about the same thickness as a large paper clip. Hope that helps a little - and good luck with your ornaments!! Hey! These are simply beautiful. 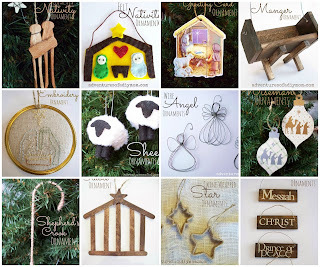 I'm doing a DIY ornament round up on my blog and including a link back here to your instructions on these beauties. I hope that's ok!! Hi! I'm Rachel. 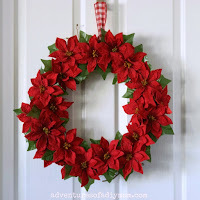 I love to create just about anything - DIY, crafts, sewing and baking are a few of my hobbies. 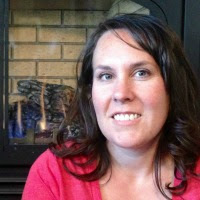 Adventures of a DIY Mom is a participant in the Amazon Services LLC Associates Program, an affiliate advertising program designed to provide a means for sites to earn advertising fees by advertising and linking to amazon.com. The contents of this blog, including text, original pictures and ideas are the sole property of the author. Please do not republish an entire post. If you wish to use an image, please link back to this blog and give credit to Adventures of a DIY Mom. I would love to know about it. Send me an e-mail, or leave a comment. Copyright Adventures of a DIY Mom 2019. Powered by Blogger.